This recipe works in soooo many ways. It’s easy, it’s delicious, it takes little time to prepare, it’s healthy, and there’s virtually no clean up. 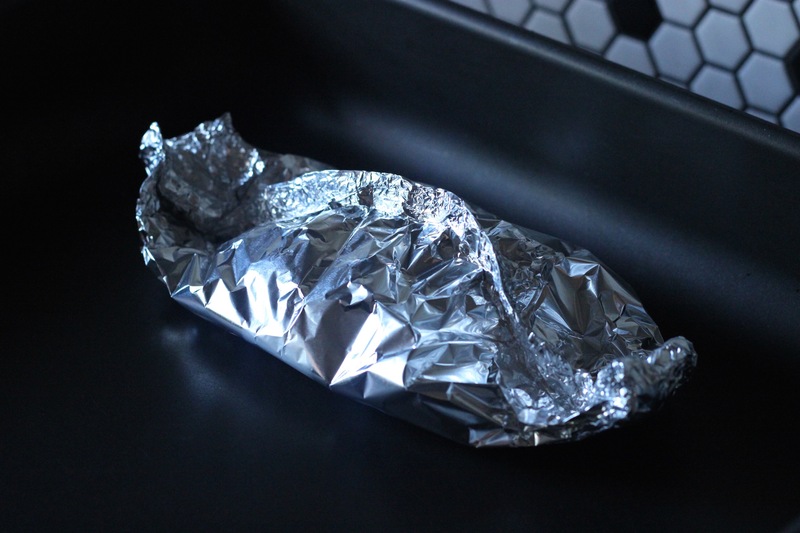 We serve it up in the foil parcels, which are easily discarded at the end of the meal, so there are no sticky plates to wash. Essentially, the the hardest and most time consuming part of preparing this dish is getting your hands on some fresh fish. The rest is child’s play. We bake this fish at a very low temperature. Keeping the temperature low means that you can’t overcook the fish. It will remain deliciously moist whether you leave it in the oven for twenty minutes, or two hours. It is definitely worth doing when you have guests. You can just pop it in the oven when the doorbell rings and leave it there until you are ready to serve it. The ease of preparation and the wow factor you get when everyone opens their delicious little fragrant fish parcels makes this recipe a lil ripper. Set your oven to 120 °C (250F). Combine the parsley garlic and olive oil. Lay each fish fillet in the centre of a large sheet of aluminium foil. Sprinkle the parsley mix and cover the top of the fish fillet. Next, layer the anchovies, followed by the sliced onion, olives , capers and tomato. Lastly, place the sliced lemon on top. 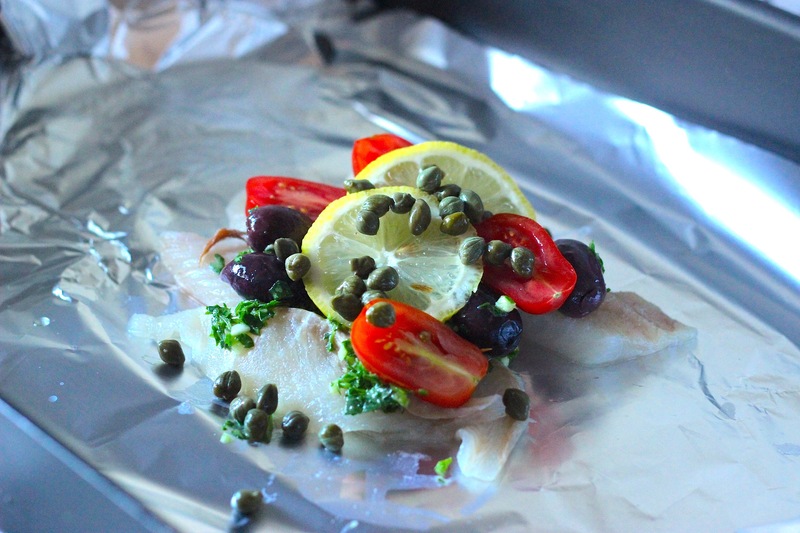 Wrap the foil over the top of the fish. Scrunch together the edges so that they prevent liquid and steam from escaping the parcel. Bake gently in the oven for 20+ minutes. Enjoy.